Engaging the audience through innovation, intimacy and movement. 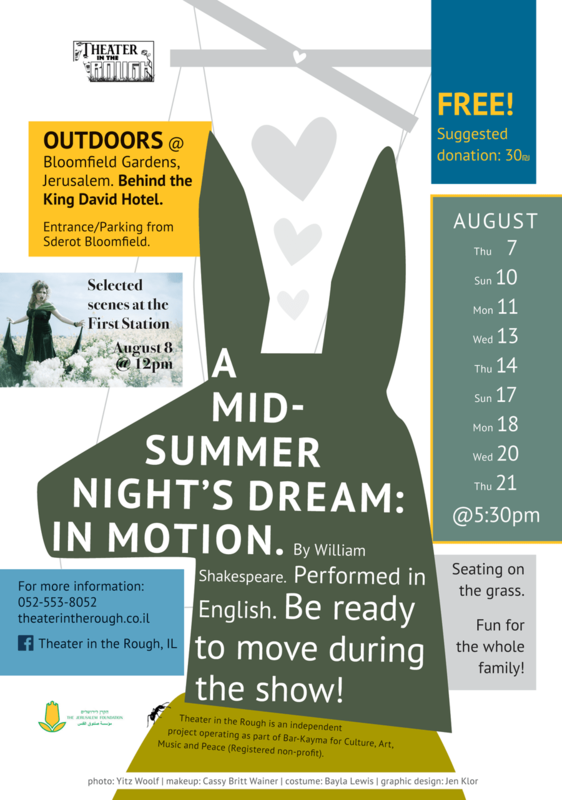 Nine evenings of Shakespeare’s A Midsummer Night’s Dream: in motion in the Bloomfield Gardens! תשע הצגות של המחזה “חלום ליל-קיץ” מאת וויליאם שייקספיר: בתנועה בגן בלומפילד! Performed in English. ההצגה בשפה האנגלית. Outside, FREE and full of movement. Fun for the whole family. Seating on the grass or bring your own chair. בחוץ וב-ח-י-נ-ם! כיף לכל המשפחה! 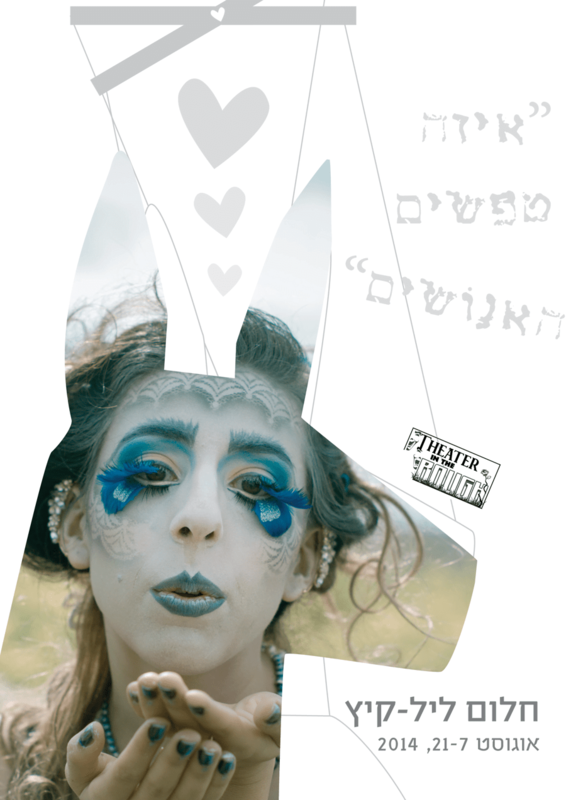 הישיבה על הדשא, אך אתם מוזמנים להביא עמכם כיסאות. תרומות יתקבלו בברכה – סכום מומלץ 30 ש”ח. 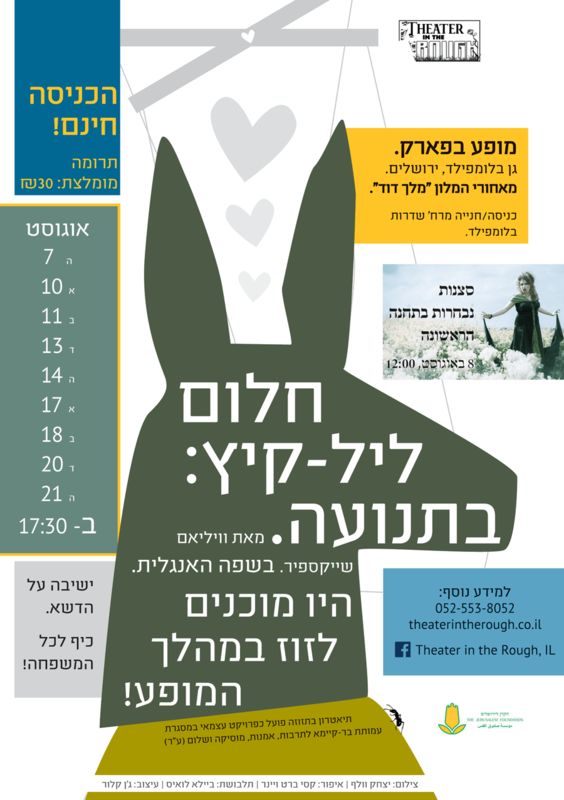 Join Theater in The Rough this August! Natan is the producer and co-founder of Theater in the Rough, in addition to acting in each play. Living in Jerusalem, Natan also is a freelance web developer. 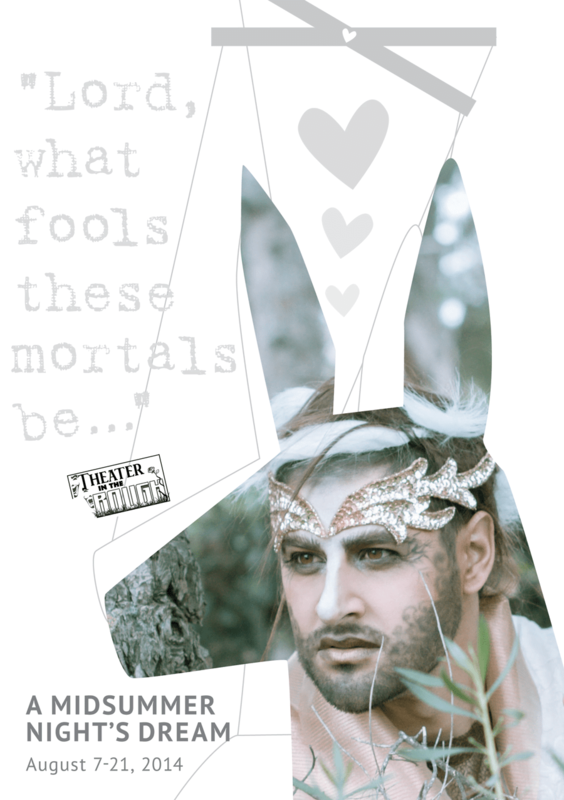 One Response to "A Midsummer Night’s Dream: in motion, August 2014"
© 2019 Theater in the Rough, site by Natan Skop. 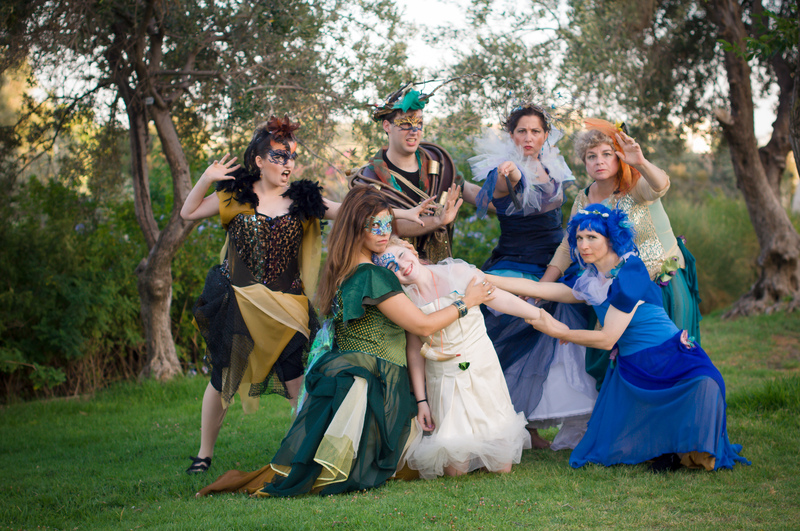 Theater in the Rough is a project of Bar-Kayma for Culture, Art, Music and Peace.